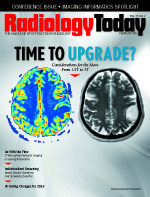 Editor's Note: Last month's Radiology Billing & Coding column examines the new diagnostic radiology coding changes for 2016. There are many changes for the procedure coding of interventional services in 2016. The biggest changes are the revamping of the codes utilized to report biliary and urinary interventions. This article will review those changes in detail after looking at the other changes impacting interventional services. The following two new codes have been added for percutaneous soft tissue marker placement. 10035—Placement of soft tissue localization device(s) (eg, clip, metallic pellet, wire/needle, radioactive seeds), percutaneous, including imaging guidance; first lesion. These two codes may be used for soft tissue marker placement in any part of the body that does not have a more specific code (eg, breast procedures). They can be used for marker placement for any purpose, including surgery, and radiation therapy. Codes 10035 and 10036 include imaging guidance, so they should not be reported together with guidance codes such as 76942. One code should be reported per target lesion, regardless of how many markers are inserted at that lesion. For example, if two markers are placed to bracket a single lesion, only one marker placement should be reported. Code 10035 is assigned for the first lesion into which markers are placed, and the add-on code 10036 is assigned for each additional target lesion, regardless of whether the lesion is on the same side of the body or the opposite side. Many existing procedure codes have been revised to specifically exclude percutaneous intracranial procedures and new codes have been created to define these services. For example, the existing arterial thrombectomy codes (37184 to 37186) have been revised to indicate they are not to be used for intracranial procedures. Additionally, procedure code 37211 for thrombolysis has been revised to indicate that it should not be used for intracranial infusions. 61645—Percutaneous arterial transluminal mechanical thrombectomy and/or infusion for thrombolysis, intracranial, any method, including diagnostic angiography, fluoroscopic guidance, catheter placement, and intraprocedural pharmacological thrombolytic injection(s). 61650—Endovascular intracranial prolonged administration of pharmacologic agent(s) other than for thrombolysis, arterial, including catheter placement, diagnostic angiography, and imaging guidance; initial vascular territory. There is a cross-reference to 61645 for intracranial arterial mechanical thrombectomy and/or thrombolytic infusion. One new code (61645) has been established for intracranial percutaneous arterial mechanical thrombectomy and/or infusion and two codes (61650 and 61651) have been established for arterial intracranial prolonged administration of pharmacologic agent(s) other than for thrombolysis. These codes include selective catheterization; diagnostic angiography; all subsequent angiography within the vascular territory, including radiological supervision and interpretation (RS&I); fluoroscopic guidance; neurologic and hemodynamic monitoring; and arteriotomy closure by pressure, closure device, or suture. The codes can be assigned only once per vascular territory, and there are three intracranial vascular territories: right carotid circulation, left carotid circulation, and vertebro basilar circulation. Note that these codes are specifically for arterial treatment and should not be assigned for treatment of intracranial veins. Codes 61650 and 61651 represent prolonged administration of nonthrombolytic agent(s) into an intracranial artery. For example, these codes would be used for prolonged administration of spasmolytic agents such as papaverine or for chemotherapy drugs. They should not be used to report administration of substances that are routinely used during endovascular procedures, such as heparin, nitroglycerin, and saline solution. The drug administration must last at least 10 minutes, but discontinuous blocks of time may be added together. 61650 is assigned for the first territory treated and 61651 is assigned for each additional territory. No more than two units of code 61651 can be reported per day. The codes for nonthrombolytic transcatheter infusions (37202 and 75896) are no longer in use; the former was deleted and the latter, per McKesson, was "modified to prohibit its use for thrombosis." The existing IVUS component codes (37250 and 37251; 75945 and 75946) have been deleted and replaced with two new comprehensive add-on codes (37252 and 37253) that include the IVUS and associated RS&I. The structure is the same as before with 37252 being for the initial noncoronary vessel and 37253 designated as "each additional" noncoronary vessel. These codes can be used in conjunction with diagnostic procedures and therapeutic interventions. These codes cannot be reported together with inferior vena cava filter procedures (37191 to 37193) or foreign body retrieval (37197). The codes include all transducer manipulation and repositioning both before and after the intervention. Fourteen biliary codes have been deleted and 14 new codes created to report biliary interventional procedures. The 14 deleted codes are 47500, 47505, 47510, 47511, 47525, 47530, 47560, 47561, 47630, 74305, 74320, 74327, 75980, and 75982. 47531—Injection procedure for cholangiography, percutaneous, complete diagnostic procedure including imaging guidance (eg, ultrasound and/or fluoroscopy) and all associated RS&I; existing access. 47532—Injection procedure for cholangiography, percutaneous, complete diagnostic procedure including imaging guidance (eg, ultrasound and/or fluoroscopy) and all associated RS&I; new access (eg, percutaneous transhepatic cholangiogram). These two new comprehensive codes have been established for cholangiograms. These codes include contrast injection, RS&I, and imaging guidance (ultrasound and/or fluoroscopy). Additionally, code 47532 includes accessing the biliary system with a needle or catheter. 47533—Placement of biliary drainage catheter, percutaneous, including diagnostic cholangiography when performed, imaging guidance (eg, ultrasound and/or fluoroscopy), and all associated RS&I; external. 47534—Placement of biliary drainage catheter, percutaneous, including diagnostic cholangiography when performed, imaging guidance (eg, ultrasound and/or fluoroscopy), and all associated RS&I; internal-external. 47535—Conversion of external biliary drainage catheter to internal-external biliary drainage catheter, percutaneous, including diagnostic cholangiography when performed, imaging guidance (eg, fluoroscopy), and all associated RS&I. Conversion of an external drainage catheter to an internal-external catheter is reported with code 47535. This code includes removal of the existing external drainage catheter and placement of an internal-external drainage catheter. It also includes cholangiography and RS&I. An internal-external biliary drainage catheter may be converted to an internal biliary stent. This procedure is reported with the code for stent placement via existing access (47538). 47536—Exchange of biliary drainage catheter (eg, external, internal-external, or conversion of internal-external to external only), percutaneous, including diagnostic cholangiography when performed, imaging guidance (eg, fluoroscopy), and all associated RS&I. • removal of existing internal-external drainage catheter and insertion of a new external drainage catheter via the same access. 47537—Removal of biliary drainage catheter, percutaneous, requiring fluoroscopic guidance (eg, with concurrent indwelling biliary stents), including diagnostic cholangiography when performed, imaging guidance (eg, fluoroscopy), and all associated RS&I. Removal of a biliary drainage catheter may be performed without the use of imaging guidance. In this case, the encounter can be reported with an evaluation and management code if the documentation supports one. However, it may be necessary to use fluoroscopic guidance in some cases, such as when the patient has an internal-external drainage catheter together with one or more biliary stents. This procedure is reported with code 47537. 47538—Placement of stent(s) into a bile duct, percutaneous, including diagnostic cholangiography, imaging guidance (eg, fluoroscopy and/or ultrasound), balloon dilation, catheter exchange(s) and catheter removal(s) when performed, and all associated RS&I, each stent; existing access. 47539—Placement of stent(s) into a bile duct, percutaneous, including diagnostic cholangiography, imaging guidance (eg, fluoroscopy and/or ultrasound), balloon dilation, catheter exchange(s) and catheter removal(s) when performed, and all associated RS&I, each stent; new access, without placement of separate biliary drainage catheter. 47540—Placement of stent(s) into a bile duct, percutaneous, including diagnostic cholangiography, imaging guidance (eg, fluoroscopy and/or ultrasound), balloon dilation, catheter exchange(s) and catheter removal(s) when performed, and all associated RS&I, each stent; new access, with placement of separate biliary drainage catheter (eg, external or internal-external). 47541—Placement of access through the biliary tree and into small bowel to assist with an endoscopic biliary procedure (eg, rendezvous procedure), percutaneous, including diagnostic cholangiography when performed, imaging guidance (eg, ultrasound and/or fluoroscopy), and all associated RS&I, new access. The rendezvous procedure is a technique for getting an endoscopic retrograde cholangiopancreatography scope into the common bile duct without accidentally cannulating or injecting the pancreatic duct, which can cause pancreatitis. Accessing the common bile duct with the endoscope can be difficult, particularly in patients with large tumors or postoperative scarring. First, the radiologist advances a guide wire in antegrade fashion down through the common bile duct and into the duodenum. This can be accomplished by percutaneous bile duct puncture or through an open incision at the time of cholecystectomy. The endoscopist then passes the endoscope down through the gastrointestinal tract into the duodenum and snares the end of the guide wire. The endoscopist can then introduce instruments over the guide wire for sphincterotomy of the sphincter of Oddi (to allow common bile duct stones to pass) or for diagnostic study. Placement of the wire down into the duodenum is reported with code 47541. Code 47541 cannot be reported if there is an existing biliary access such as an external or internal-external biliary drainage catheter. If the physician uses an existing access, the procedure should be coded as a catheter conversion, exchange, or removal (47535 to 47537). Code 47541 also cannot be reported together with cholangiography (47531, 47532) or biliary drainage procedures (47533 to 47540). The new add-on code 47542 is for percutaneous balloon dilation of a bile duct, the sphincter of Oddi, or the ampulla of Vater. This code can be reported in conjunction with cholangiography; placement of drainage catheter; conversion, exchange, or removal of drainage catheter; and/or the rendezvous procedure. Code 47542 cannot be reported together with the stent placement codes (47538 to 47540) because dilation is included in stent placement. It also cannot be reported in conjunction with the codes for dilation via an endoscope. 47542 cannot be assigned if the physician uses a balloon catheter to remove stones or debris from the bile duct, as this should be reported with the code for removal of calculi (47544). If the physician dilates multiple ducts during the same session, a maximum of two units of 47542 should be reported, regardless of the number of ducts. The new add-on code 47543 is used for percutaneous endoluminal biopsy of any part of the biliary tree. This code includes biopsy by brush, forceps, and/or needle. Only one unit of 47543 should be reported, regardless of the number of samples taken and/or the number of areas biopsied. Code 47543 can be reported in conjunction with cholangiography; placement of drainage catheter; conversion, exchange, or removal of drainage catheter; and/or the stent placement. The new add-on code 47544 represents percutaneous removal of gallstones or debris from a bile duct or the gallbladder. The American Medical Association issued a technical correction to the biliary procedure guidelines in November 2015 to clarify that code 47544 should only be used for removal of gallstones and/or solid debris, not for sludge. Code 47544 requires intentional manipulation of the stone or debris. If a device is used in an attempt to remove suspected stones, but no stones or debris are retrieved, the CPT manual indicates that code 47544 should not be assigned. Code 47544 includes stone destruction by any method, such as crushing (lithotripsy) or shock wave (electrohydraulic). Code 47544 can be reported in conjunction with cholangiography; placement of drainage catheter; conversion, exchange, or removal of drainage catheter; and/or the stent placement. However, it should not be reported together with codes 47531 to 47543 for "incidental removal of debris." Similarly to what occurred in the biliary section, the procedure codes for the urinary procedures typically performed in IR have undergone significant changes for 2016. The following six codes have been deleted for 2016: 50392, 50393, 50394, 50398, 74475, and 74480. To replace these codes several new comprehensive codes have been developed to describe the services. The following provides information on the new codes as well as the existing codes that will still be available for use in 2016. 50430—Injection procedure for antegrade nephrostogram and/or ureterogram, complete diagnostic procedure including imaging guidance (eg, ultrasound and fluoroscopy) and all associated RS&I; new access. 50431—Injection procedure for antegrade nephrostogram and/or ureterogram, complete diagnostic procedure including imaging guidance (eg, ultrasound and fluoroscopy) and all associated RS&I; existing access. Two comprehensive codes (50430 and 50431) have been added for diagnostic antegrade imaging studies. These codes include contrast injection, RS&I, and imaging guidance (ultrasound and/or fluoroscopy). Code 50430 also includes creation of a new access to the collecting system and/or ureter using either a needle or a catheter. 50432—Placement of nephrostomy catheter, percutaneous, including diagnostic nephrostogram and/or ureterogram when performed, imaging guidance (eg, ultrasound and/or fluoroscopy), and all associated RS&I. 50433—Placement of nephroureteral catheter, percutaneous, including diagnostic nephrostogram and/or ureterogram when performed, imaging guidance (eg, ultrasound and/or fluoroscopy), and all associated RS&I; new access. The new code 50432 has been created for placement of a nephrostomy catheter. This code includes access, diagnostic imaging, and imaging guidance (eg, ultrasound, fluoroscopy, CT). The new code 50433 code has been created for placement of a nephroureteral catheter via a new access and includes diagnostic imaging when performed, as well as imaging guidance and RS&I (ultrasound and/or fluoroscopy). 50434—Convert nephrostomy catheter to nephroureteral catheter, percutaneous, including diagnostic nephrostogram and/or ureterogram when performed, imaging guidance (eg, ultrasound and/or fluoroscopy), and all associated RS&I; preexisting nephrostomy tract. Code 50434 represents conversion of a nephrostomy catheter to a nephroureteral catheter using the same catheter tract. This code includes diagnostic imaging when performed, as well as imaging guidance and RS&I (eg, ultrasound, fluoroscopy, CT). 50435—Exchange nephrostomy catheter, percutaneous, including diagnostic nephrostogram and/or ureterogram when performed, imaging guidance (eg, ultrasound and/or fluoroscopy), and all associated RS&I. The new code 50435 has been created for exchange of a nephrostomy catheter and includes a diagnostic nephrostogram when performed, all imaging guidance, and RS&I. 50693—Placement of ureteral stent, percutaneous, including diagnostic nephrostogram and/or ureterogram when performed, imaging guidance (eg, ultrasound and/or fluoroscopy), and all associated RS&I; preexisting nephrostomy tract. 50694—Placement of ureteral stent, percutaneous, including diagnostic nephrostogram and/or ureterogram when performed, imaging guidance (eg, ultrasound and/or fluoroscopy), and all associated RS&I; new access, without separate nephrostomy catheter. 50695—Placement of ureteral stent, percutaneous, including diagnostic nephrostogram and/or ureterogram when performed, imaging guidance (eg, ultrasound and/or fluoroscopy), and all associated RS&I; new access, with separate nephrostomy catheter. These three new codes have been established for placement of ureteral stents. These codes include diagnostic imaging, image guidance, and RS&I. The following urinary codes have been retained for 2016. 50384—Removal (via snare/capture) of internally dwelling ureteral stent via percutaneous approach, including RS&I. 50386—Removal (via snare/capture) of internally dwelling ureteral stent via transurethral approach, without use of cystoscopy, including RS&I. 50387 (Code definition was revised for 2016)—Removal and replacement of externally accessible nephroureteral catheter (eg, external/internal stent) requiring fluoroscopic guidance, including RS&I. 50389—Removal of nephrostomy tube, requiring fluoroscopic guidance (eg, with concurrent indwelling ureteral stent). 50390—Aspiration and/or injection of renal cyst or pelvis by needle, percutaneous. 74470—Radiologic examination, renal cyst study, translumbar, with contrast visualization and RS&I. 50395—Introduction of guide into renal pelvis and/or ureter with dilation to establish nephrostomy tract, percutaneous. 74485—Dilation of nephrostomy, ureters, or urethra, with RS&I. 50396—Manometric studies through nephrostomy or pyelostomy tube, or indwelling ureteral catheter. Every year brings new changes and challenges, and 2016 is definitely no different. It is important to remember that staying up-to-date on coding and compliance is an ongoing responsibility, and not something clinicians can just do at the end or beginning of the year. Changes are occurring with a high degree of frequency, so it is critical to devote the time and resources needed to ensure compliance and appropriate reimbursement.